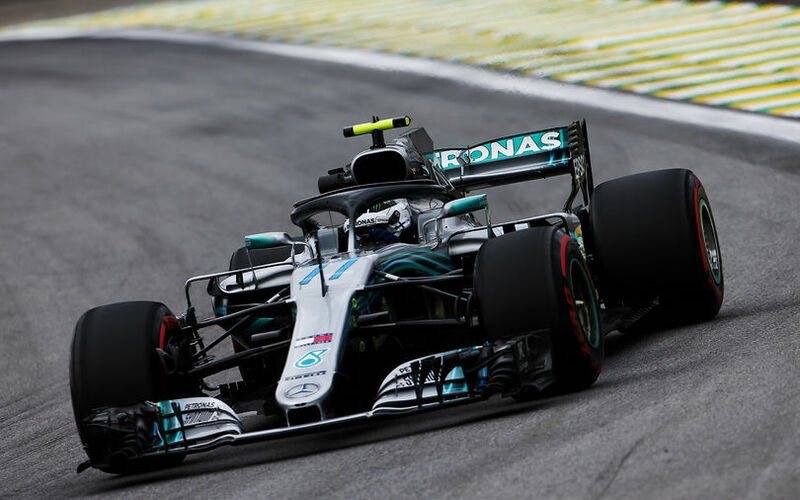 Mercedes appeared to be back at their normal form as they topped the second practice session at Brazil. On the back of a troubled Mexican GP weekend, Hamilton eagerly noted “the car feels much better now”. As an easy victory for a Red Bull, or even pole, seems like a far cry at Sao Paolo, Sebastian Vettel still managed to stay in touch with the Mercedes. The 4-time World Champion ended less than a tenth own on the pace setter and his newly crowned World Champion team mate. Daniel Ricciardo headed Red Bull’s charge, wary nonetheless that a turbocharger change – due to damage from a fire extinguished at the Mexican GP – will drop him 5 places on the grid. As Ricciardo enjoyed a trouble free session, Max Verstappen was stuck in the garage for the first half of the session as his team were resolving an oil leak on his Red Bull RB14. Kimi Raikkonen was 6th fastest as the Finn was far from pleased with the behaviour of his Ferrari. Romain Grosjean continued to head the midfield with 7th, topping Leclerc, Magnussen and Ocon. The mean with the least mileage in the 90-minute session was Nico Hulkenberg. The German crashed his Renault on the exit of the final corner on only his 6th lap. He initially went wide on coming out of the turn, before riding over the grass and ending up in the barriers. The shunt was eventually relatively minor, but enough to break the front and rear suspension on the right hand side of his Renault. Running continues tomorrow with final practice and qualifying.